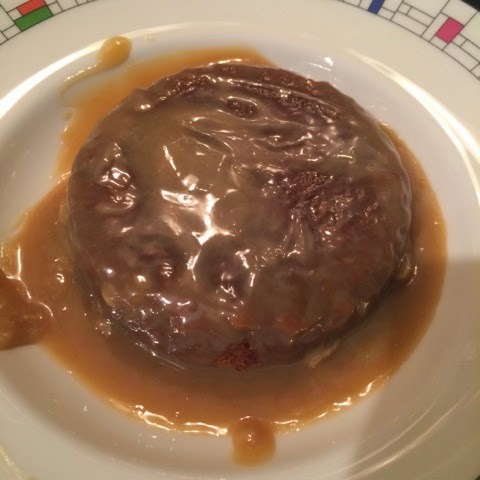 The chap and I were having brunch a few weekends ago at a neighborhood joint that is supposedly famous for their sticky toffee pudding. We were too full from a weird smattering of brunch foods that ranged from white chocolate almond pancakes to a hamburger that we had to skip the this favorite. 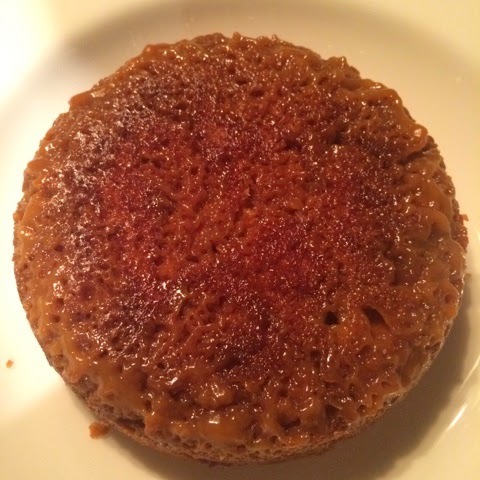 Since we were seated at the bar, we had an easy view of the framed photo of Richard Branson eating the restauranteur’s acclaimed sticky toffee pudding on his own Necker Island. In case I was ever on Necker Island, I wanted to be ready. 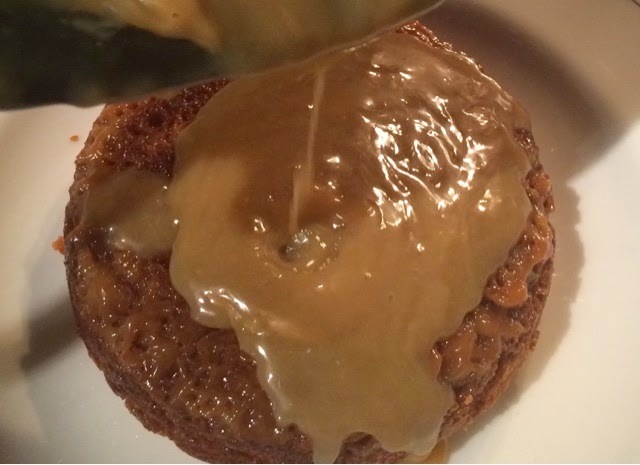 So, I tried my hand at David Lebovitz’s sticky toffee pudding this weekend. His served six and is made in one dish. 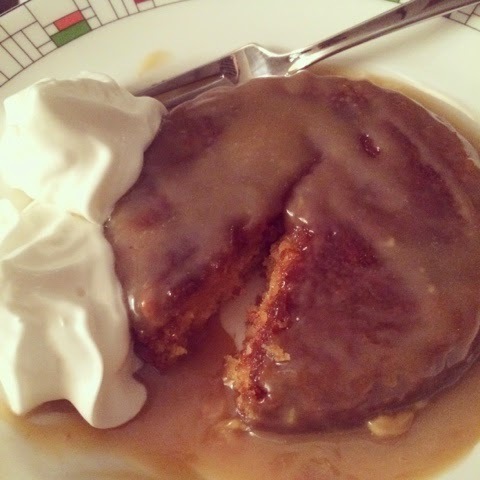 My tweaks served one in one small dish, so it wasn’t perfect, but it was a good start. Start with the toffee sauce. 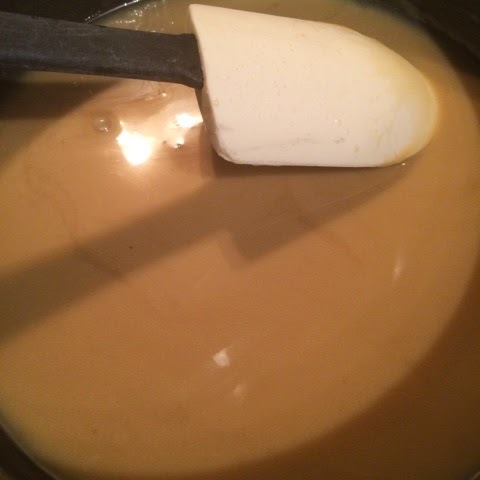 Bring cream, dark brown sugar, and Golden syrup to a boil. 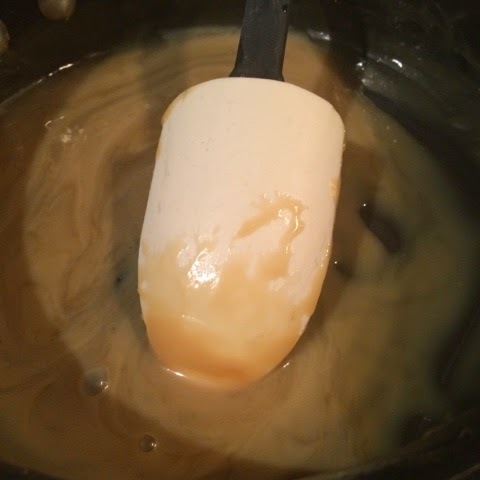 Your toffee sauce should have reduced, coating the back of a spatula. Spread some in the bottom of a baking dish. Freeze. Cover in cake batter. Bake. Your cake will look like a toffee colored sponge. Remove from the pan and cover is the rest of the toffee sauce.